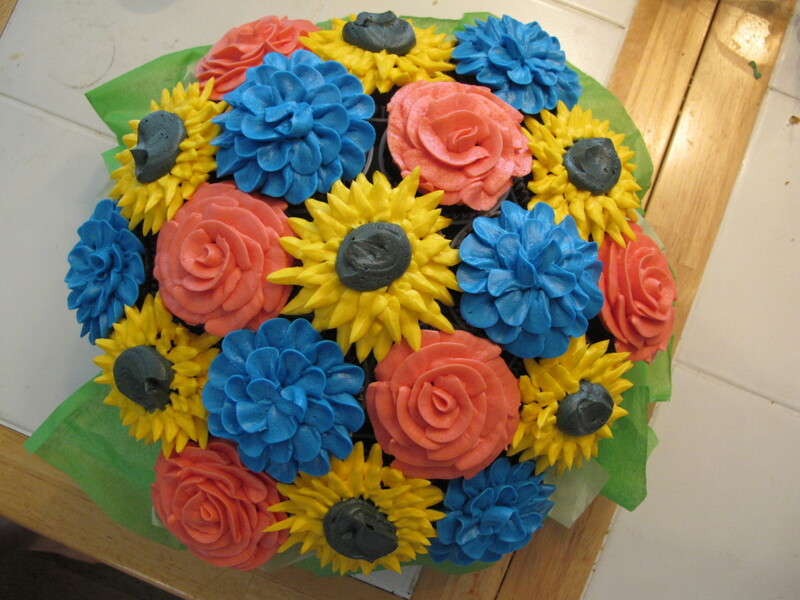 I love to decorate cakes and cookies, but one of my very favorite things to make and decorate is a cupcake bouquet. You can make them to fit any occasion- weddings, birthdays, Mother's Day, or just to say thank you to a friend. Plus, you can customize them to fit with any color palette. They make a stunning centerpiece that is beautiful to look at as well as delicious to eat. 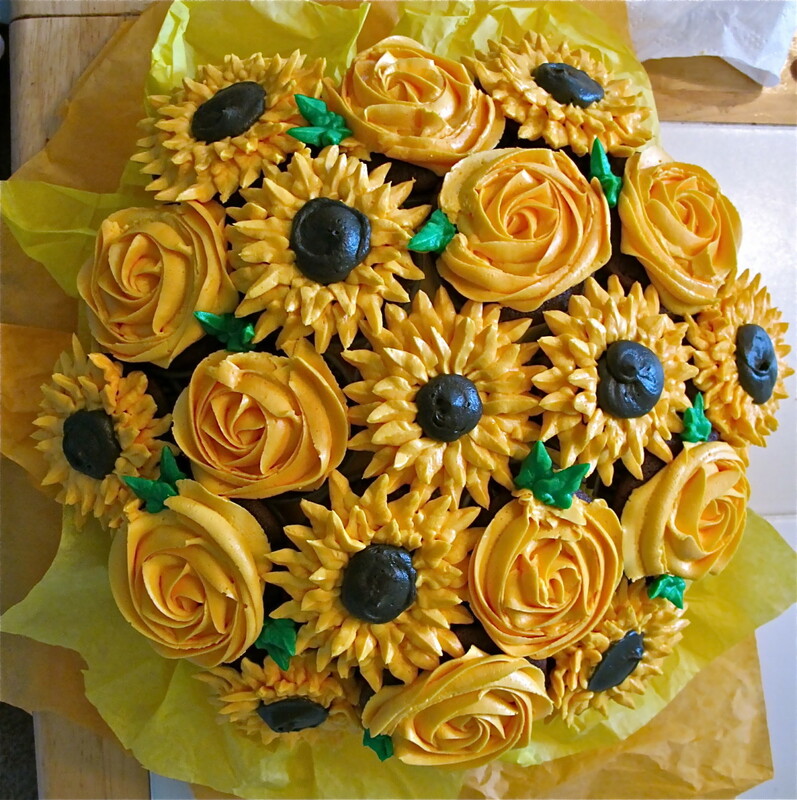 If you practice you can recreate almost any flower in icing- roses, sunflowers, dahlias. The possibilities are endless when it comes to these creations. I'll show you how to make a cupcake bouquet that won't fall apart or sag with heavy cakes and I'll show you a couple of examples to help you get your cupcake bouquet imagination running. How Do You Make a Cupcake Bouquet? The first step to a good cupcake bouquet is an amazing cupcake recipe. 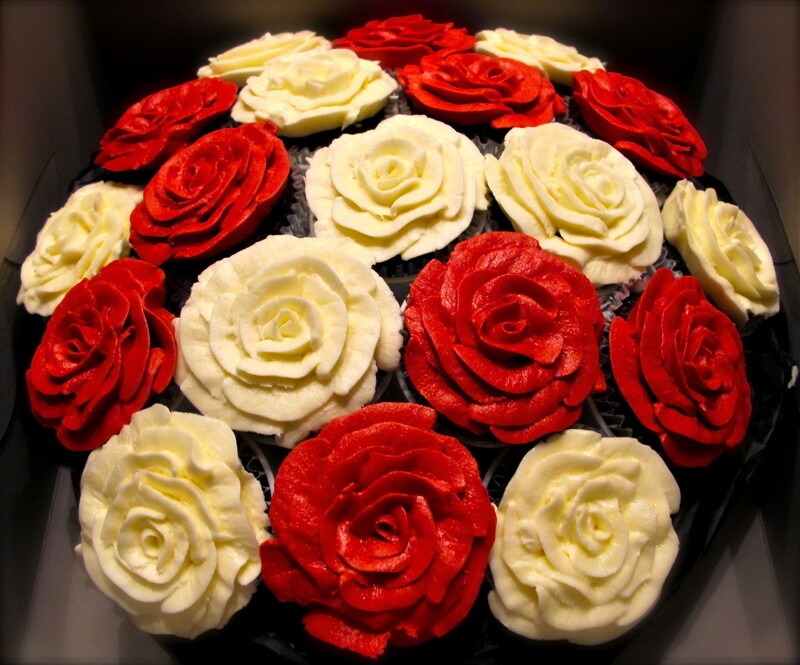 Each bouquet holds 19 standard sized cupcakes, so most recipes will make that plus a little left over to taste-test. If you already have a favorite recipe, you are done with step one. If not, and you need a little help finding one there are many good books, blogs and websites out there that can help you out. You can also use standbys like Allrecipes, your favorite cookbook and a cake mix if you really wanted to. Got your recipe? Get baking! You will need at least 19 standard cupcakes. Most recipes make 24, which gives you a couple extra to practice decorating or to taste. 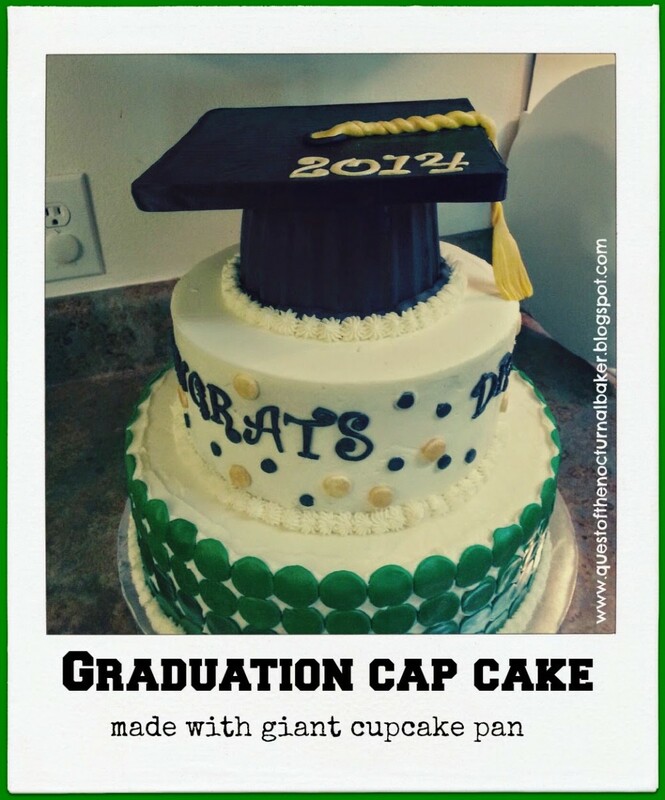 While your cupcakes are in the oven you can start to prepare the display. 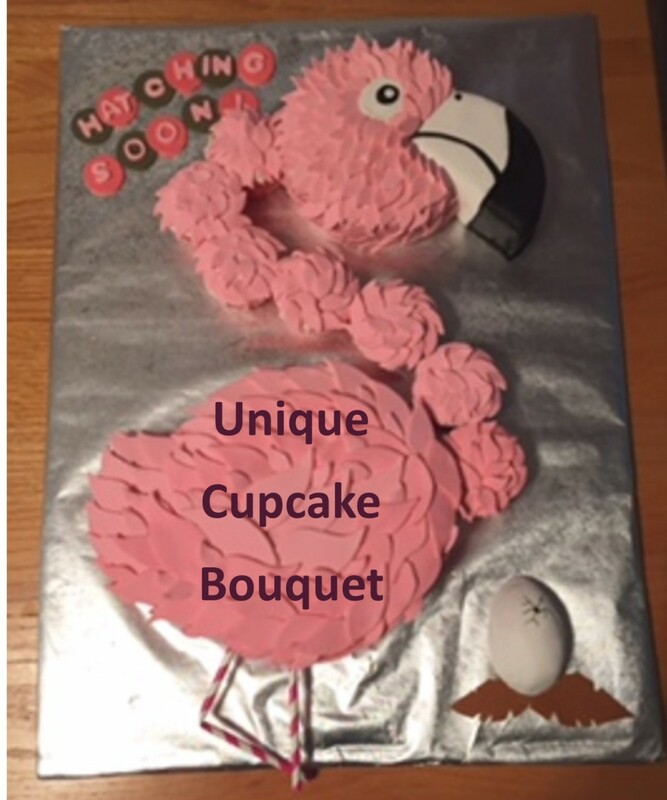 Most cupcake bouquets use skewers to secure the cakes in the bouquet, but that can lead to the cupcakes drooping or even completely falling off. So I use 5 oz. plastic cups. Each cup is just the right size to fit one cupcake inside. They are secure and close together so there is no chance of them dropping and there are hardly any gaps in between each cupcake. 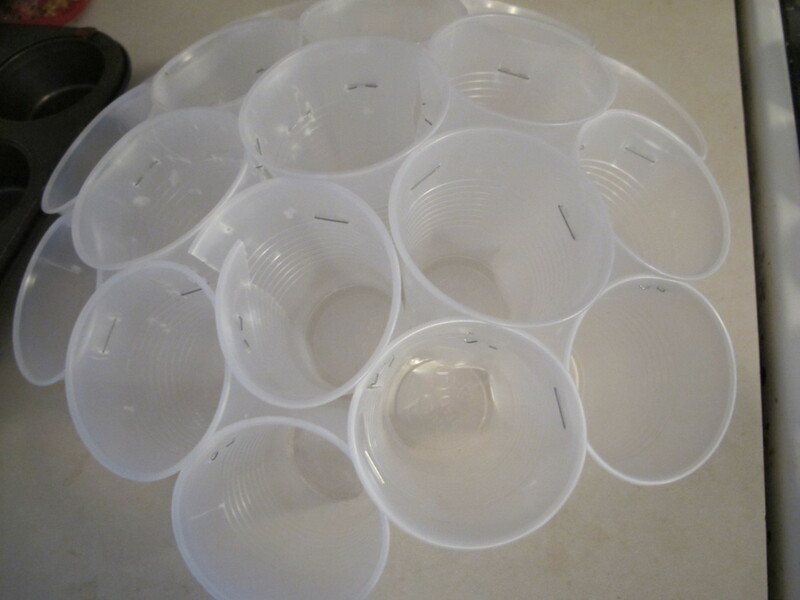 It's an easy process that only requires 19 plastic cups and a stapler. Just staple the 19 cups together and you are done. This is also the time to add any decorations to your display. Coordinating tissue paper or ribbon to disguise the cups is a nice touch. While you wait for your cupcake to cool, it's time to make the icing. You are going to need a decorator's icing to pipe flowers. Sometimes you can use a stiffer cream cheese, but the all American buttercream will probably work best. I don't like to use shortening so I only use butter, powdered sugar, vanilla and some whipped cream in mine. Many of the cupcake recipe resources I mentioned will also have a good frosting recipe as well. You will need to decide what types of flowers you want in your bouquet. Swirled roses are very simple using the 1M tip. Sunflowers are pretty and easy using the leaf tip. Flowers looks like they are hard to do, but are really very easy with a little practice. When decorating the cupcakes for the bouquet it's best to place your cupcakes into the cups before you begin. This will drastically reduce the chance of you sticking your fingers in to a perfect icing flower while trying to place it in the bouquet. It will also allow you to frost to the very edges of the cupcakes for a more unified look and less gaps. Once all 19 cupcakes are decorated you are done! Place them in a box or cake carrier and deliver them. 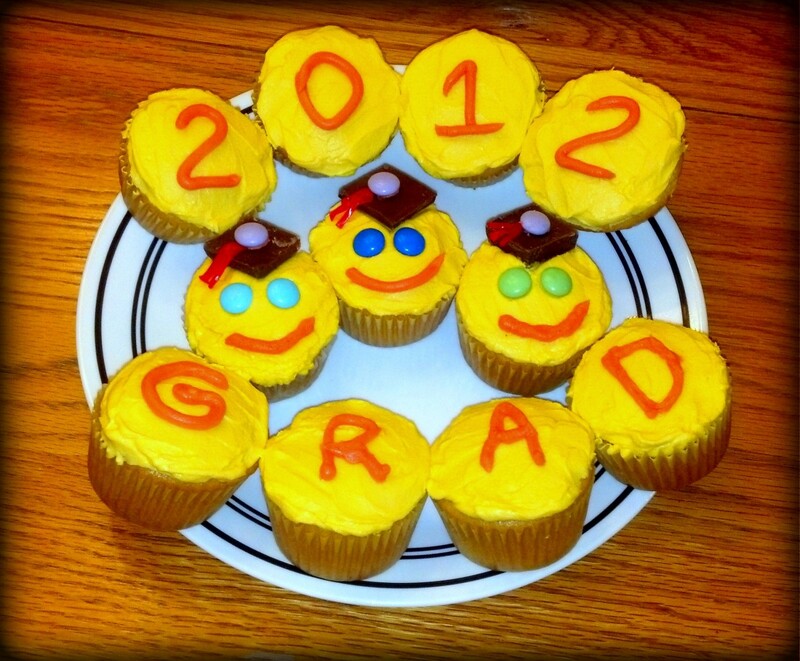 I guarantee everyone will love them and you will get tons of compliments and oohs and ahhs over your cupcake creation! I have set these in a large terra cotta pot, with a little bit of hot glue to keep it secure. This is beautiful but the point of a bouquet is to have it in a flower pot. How would you fit the cups in a flower pot to give as a gift? Wow, I have never seen this before! These are beautiful. Thanks for sharing how to make them! Too much sugar in that icing for me but the displays look festive. These are so beautiful!! Amazing work! It actually doesn't look that hard to do. Those cupcakes look awesome and I am going to attempt to do it. Voted up and useful. Once you get the first one out serving is pretty easy. A knife slid down the side of one of the cups is usually how I get them out. What is the best way to take them out of the plastic cups when serving? So pretty!! I like the plastic cup and staple idea seems like it would be pretty sturdy. Thanks so much for the comments everyone. I hope some of you give it a try! I love cupcakes. These are so pretty. 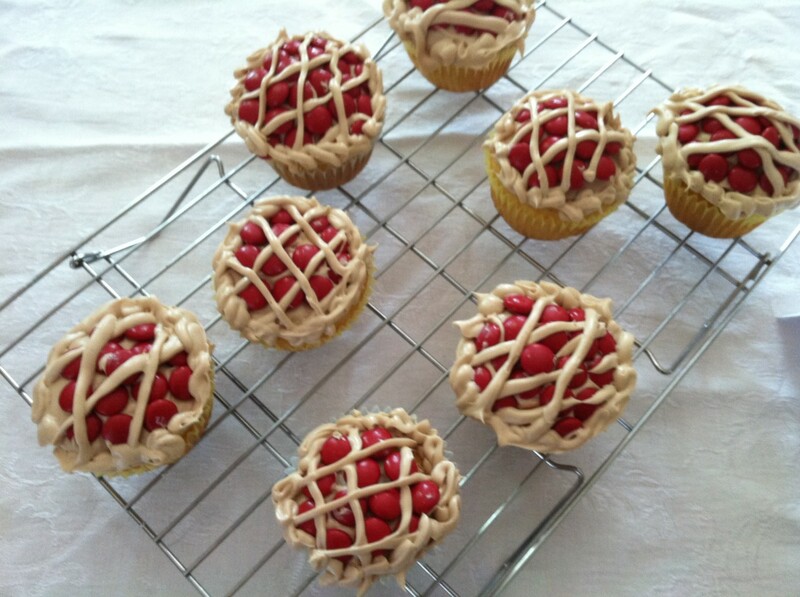 There are so many many ways to get creative with cupcakes, this is inspirational. Great photos! What a cool idea! Love cupcakes and this idea for them. I am sharing and hope to do this soon too. Moonlake- I bet you could. The swirled roses alone are very pretty and very easy. I agree that they make great gifts! I don't put it on a stand, the cups hold it up on their own once they are stapled together. You could also fit the whole thing inside a basket or flower pot of the same diameter. Beautiful idea! Do you put the arrangement on a stand? 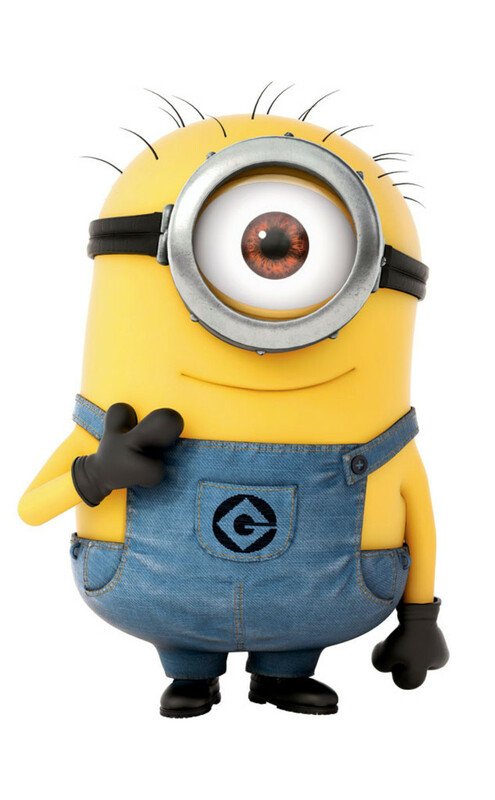 How does it stay upright? Wow! These are awesome! This is a wonderful idea. They would be great for any occasion. 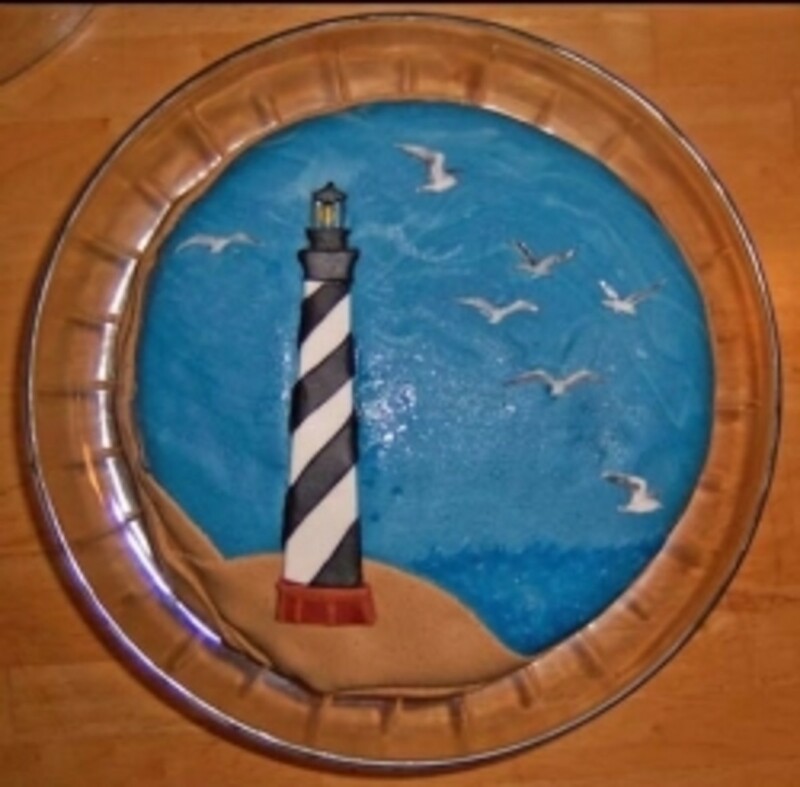 I wish I could decorate with icing, I tried once and failed miserably, but I am definitely going to share this hub with my friends. Many votes and sharing! These are awesome I can't wait for a chance to make one. Thanks for the east to follow directions. Wow. I don't want the cupcake calories right now, but these are beautiful. Well done indeed!